Facebook has already tried to help you find your dream job, catch up on the latest news, and even sell all that junk cluttering up your basement. Yes, all those ventures have either flopped or become mired in controversy. But the company isn’t satisfied with just knowing that stuff about you. Now, if you live in Colombia, it hopes to help you find love. The social giant began testing Facebook Dating on Thursday. The details sound awfully familiar. 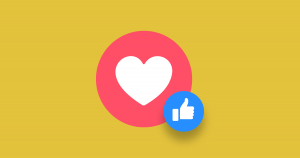 Any adult Facebook user in Colombia can create a Facebook Dating profile that includes up to nine photos and ice-breaker questions (a feature that borrows heavily from dating app Hinge.) Once enough people sign up, an algorithm will match them based on criteria like their mutual friends and shared interests. Users also have the option to match with people who belong to the same Facebook groups they do, or who go to the same events. They won’t be able to send potential mates links, photos, or payments. For that, they’ll need to switch to a different messenger or go the old-fashioned route and swap digits. It’s tough to say whether the service will catch on (especially with younger users who are moving away from the platform), and it’s not clear when it’ll spread into other countries. One thing’s for sure: it’ll present us with some uncharted territory where human interactions are concerned. Like if you go to a friend’s poetry reading (organized on Facebook of course), will you end up chilling with a friend-of-a-friend you went on a horrible first date with two years ago? Only time will tell.